The card is in. Platinum Blue Parallel Card. 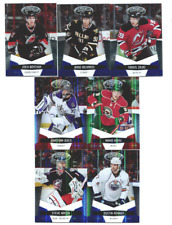 2010-11 Panini Certified Hockey. 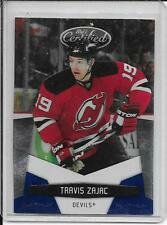 Card is #TZ and is serially numbered 04/25. Jersey patch swatch is three (3) colors: vetical red nylon patch with stitched seam, black nylon patch with stitched seam, and white jersey swatch. 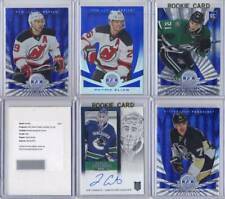 For sale is one 2012-13 Panini Limited card. All cards were put into a penny sleeve and then a top loader straight from the box with minimal handling.